How one American river, the Connecticut, became a focus for often misplaced environmental zeal, political maneuvers of the best and worst kind, hope and suspicion. 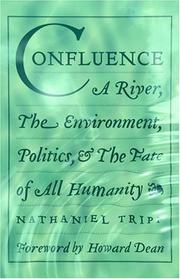 Filmmaker and author Tripp’s knowledge of, and fondness for, the embattled Connecticut River are more than evident in this compact book (and they’re endorsed in a foreword by his canoeing buddy, former Vermont Governor Howard Dean). In identifying the ecological dangers that threaten the river, Tripp (Father, Soldier, Son, 1997) considers equally the interests of those who are native to the headwaters and those, different indeed, who represent the industrial demands made on the water downstream. The root cause of trouble is common in the American experience: Dams are built to exploit rivers without regard for ultimate consequences. An avid fisherman, Tripp highlights the attempt to restore the endangered Atlantic salmon, which returns from the ocean to breed in fresh waters, as emblematic of the dilemma: Fishermen more interested in trout, for instance, now complain about overemphasis on the salmon. And while Tripp applauds the dedication of one scientist who snorkels with returning salmon just to get to know them better, he is aware of the plight of similarly threatened species that simply lack public appeal. A shortnose sturgeon can’t leap 12 feet into the air, he notes, and nobody is willing to spend thousands of dollars for the thrill of catching a dwarf wedge mussel. Yet even as cleanup efforts have made the river itself healthier, Tripp asserts, the economic slow death of rural America contributes to contentiousness among those who live in formerly agrarian headwater regions. Industrial lobbyists had little trouble spreading the idea among locals in several New England states that creation of a federally protected watershed area was part of a U.N. plot to take over the world. A concise and readable look at real-world environmental challenges.